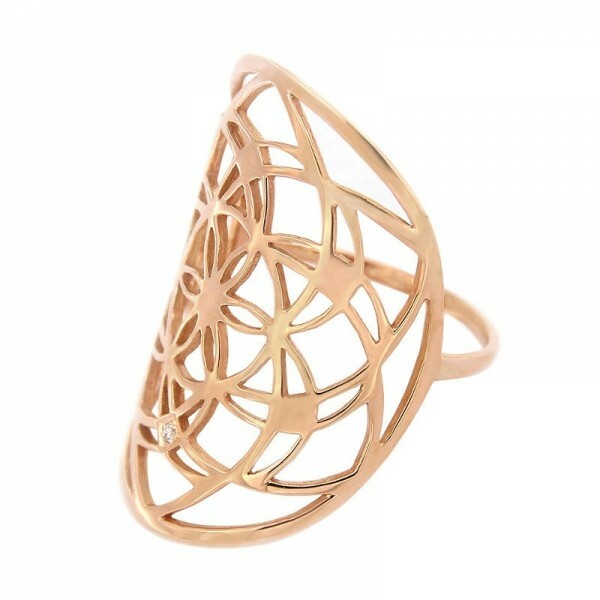 18 carat rose or white gold with a discreet diamond. 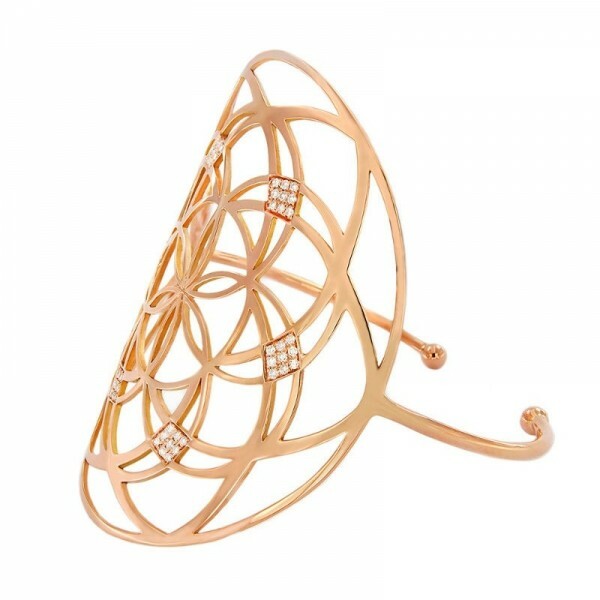 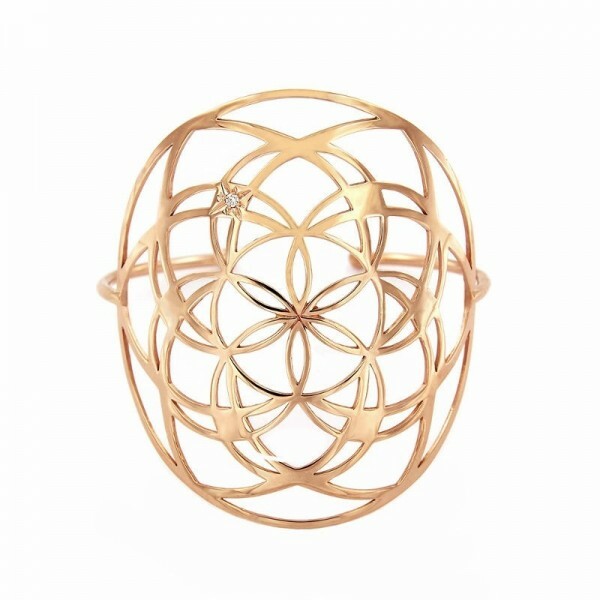 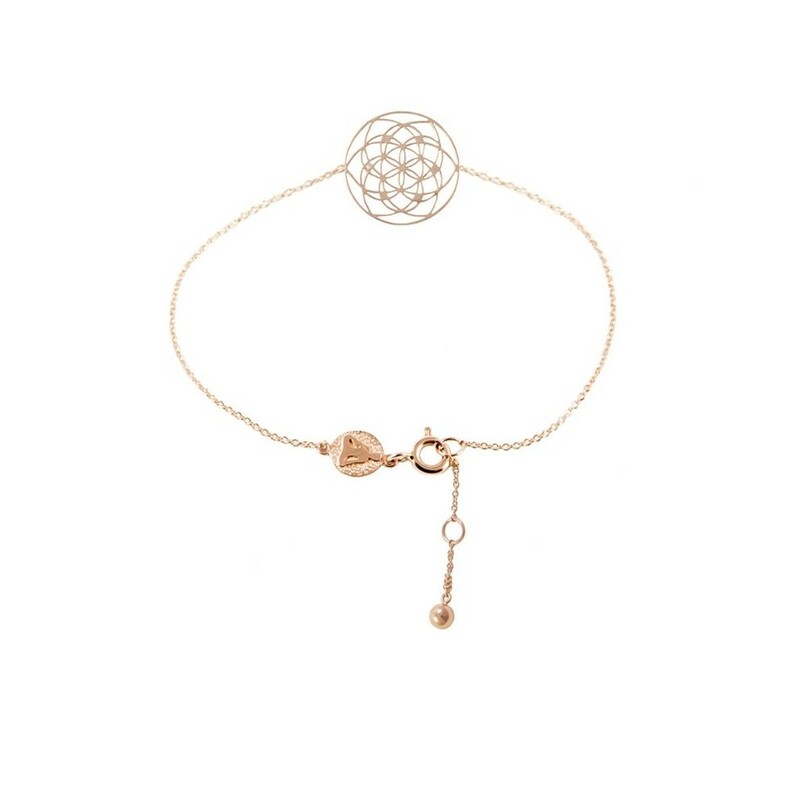 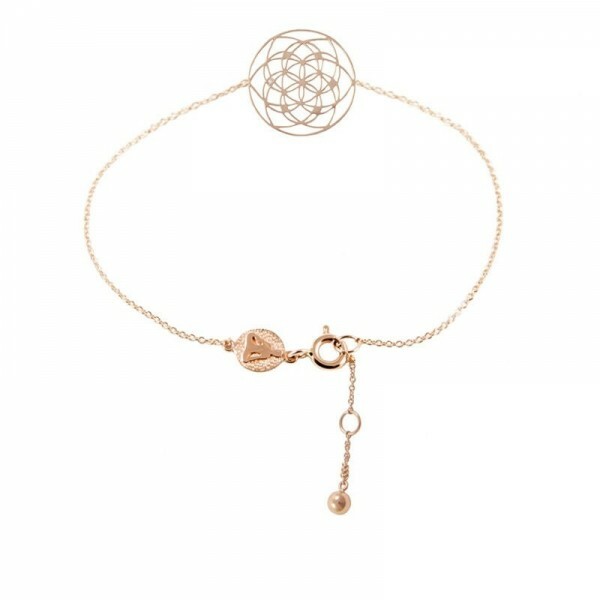 Flower of life bracelet. 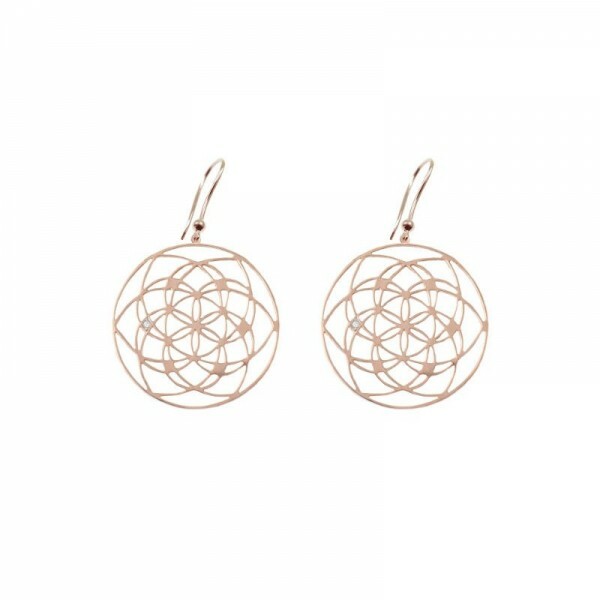 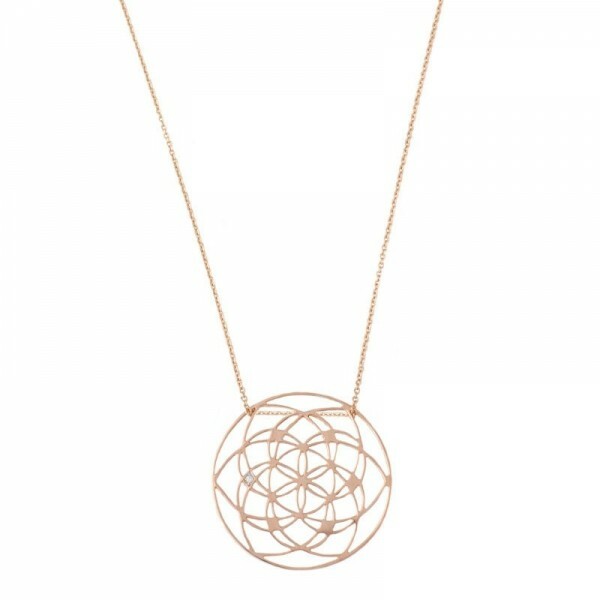 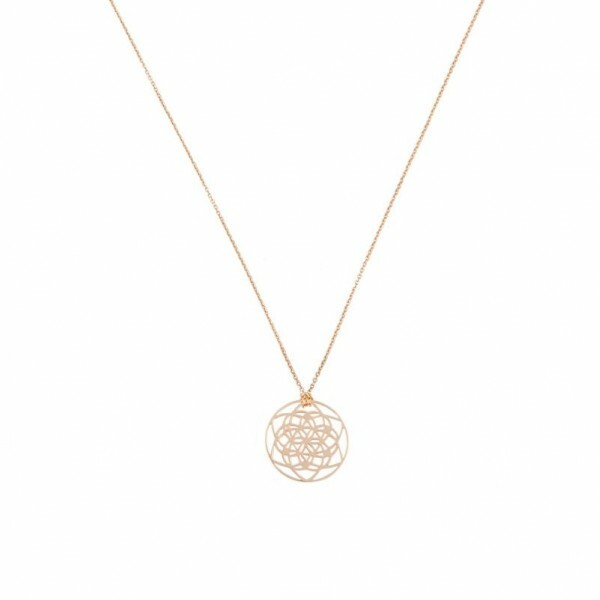 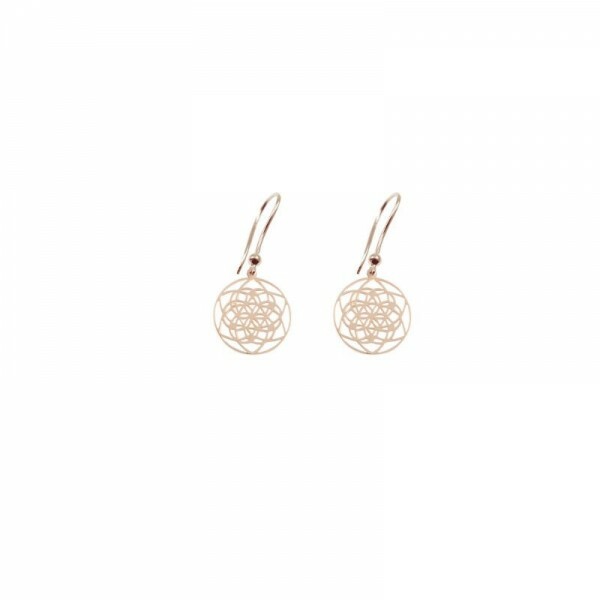 Considered as sacred geometry, the flower of life is a visual expression of the connections life weaves through all sentient beings.